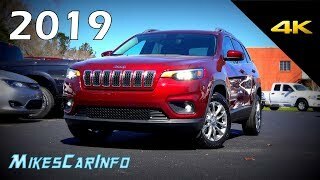 Motor1 Senior Editor Jake Holmes takes Jeep’s new Cherokee for a spin to see if it can compete with the crowded segment. Subscribe to our channel to see weekly Why Buy? 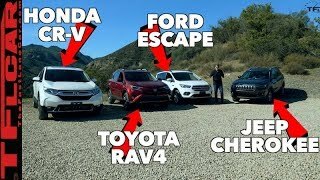 videos, and lots more new car review content. The transmission is trash !!! You own one? Mine was rough at first but it settled into total smoothness after a few thousand miles. +DJAZTHETAFREQ First off all the Jeep comes with three engine options, so just get the V6. You act as if the 2.0 turbo (which is only $400 more than the V6) is the only option here. Considering that most competitors inline 4's don't even give you that level of HP. Then you complain about it's Sound. Look you may not personally like it's note but the majority of people have no issues. Also Jeep has always had steep discounts and this is brought up all the time to those who complain that an Overland is pricey. You can get one for $36,000 easy. Regarding the Audi and it's road mannerisms. As I mentioned earlier you shouldn't even be looking at a Jeep at this point if your criteria is meet with a Q5. You can talk all day about marketing you fully understand that a Jeep is a Jeep. Meaning the KL is comprised heavy of Jeep DNA. 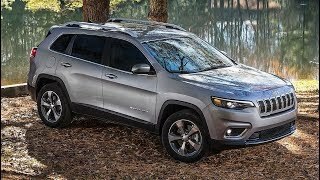 Jeep appeals to a certain crowd and FCA knows this and the sales numbers support this as well. 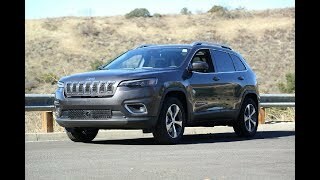 Yes FCA has taken the Trailhawk and stripped it bare for there economy line models. Think of it this way. You just made a rather strong argument against this trend in today's crossovers attempting to be everything at once. 75% of our population are buying SUV's with over engineered Offroad capabilities that they will never utilize. You can't have it both ways, either you sacrifice driving dynamics for more rugged offroad capabilities or you focus more on the conditions that the majority of your buyers will be driving on. Have fun taking your Audi through light off road usage cause we all know you will never do it. So why does it have a locking Rear Differential since it was an after thought for MARKETING purposes. Your Quattro system is more than you need. Also you have to remember Audi, Mercedes and specifically BMW being the KING of Money pits after warranty is over. as long as I am leasing under my company name I don't care about Audi and Merc's long term reliability/upkeep cost since it's not an issue. If people were more practical they would save there money and spend it on vehicles with features they actually use and benefit from daily, hence why you bought the Audi. If you drive on the road the Audi is smoother, more nimble and handles better. Most people I know already assume this when shopping. Simply put, my disagreement with your position is based on the Hyperbole nature of it. 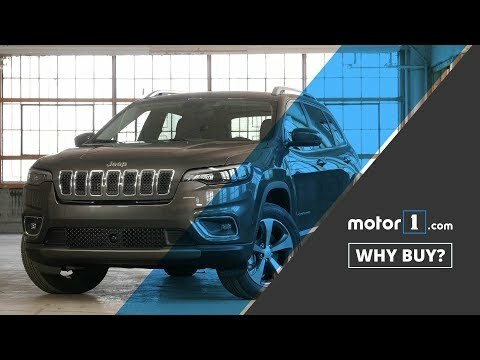 If I ask you to be reasonable and objective in comparing the engine to the majority of under powered crappy jap engines used in most mid size crossovers. Is this not a fair point to bring up? 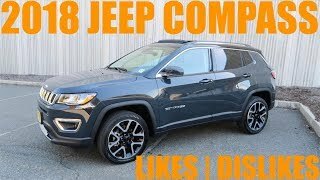 I except that you personally don't like what they offer but compared to the competition, the Jeep has more power and better off road capability. +Mike Jones Mr. Jones I do indeed think before I "speak" or in this case..write. The engine we are discussing is the 2.0 l turbo which indeed sounds horrible between 2 and 4k. This is important to everyone who would have to commute with this vehicle or drive it up a dirt road. And I question your veracity as Jeep is targeting The CRV and Rav4 with the limited and the Q5 and X3 with the overland. This is their marketing not mine. 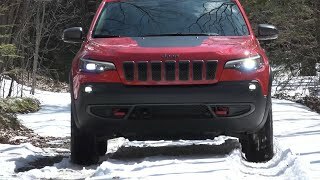 The Cherokee has a lot of value and a good off-road AWD system. 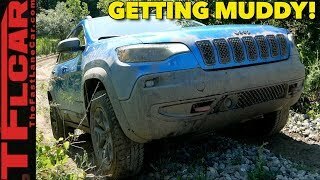 The trailhawk is a legitimate off-road vehicle. But the overland and the limited models are unfortunately not competitive with their class. Btw..I bought a Q5 for 42k...and the overland costs 43k. So these are directly comparable. The Q5 has Quattro with an automatically locking center diff (off-road mode) and 8 inches of ground clearance. It makes 40 less hp and similar toque to the 2.0 t in the Jeep. It has very similar equipment almost identical. 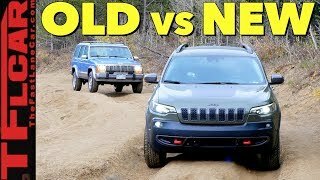 I defy anyone to choose the Jeep for $43k after driving both on any terrain. No offense but your reasoning here is severely flawed. The German Rivals are a different class of car. 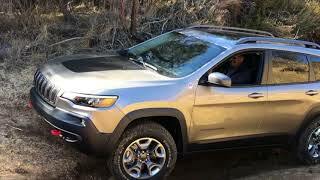 This is a 4x4 Crossover with the name JEEP. Meaning it's more evenly geared and focused for offroad/on road. Where as the German's use a platform that was tailored for 70% Road mannerisms with only a small portion or afterthought for offroad usage. Why would they need to fix the engine. There is a reason why the V6 Pentastar is used in many of there SUV/Trucks. It's a tried and proven engine with a good even HP/Torque output. With the Pentastar you get full instant linear torque from 1200-4000 RPM unlike many other competitor's where the high levels of Torque only kick in with high RPM's. Based on your criteria it seems you want a Sporty SUV. Since you hold the German's in such a high regard while refusing to keep up to date in the automotive industry it's of no surprise that you aren't aware of what the competition packs. The ALFA Stelvio Quadrifoglio suv came out of nowhere and put, Porsche, BMW and Mercedes in there place. It's the best handling, performing and 0-60 sport SUV in the market. The Platform, engine etc...was designed by Ferrari's top engineers. $85,000 SUV of course. You have misjudged this Crossover. Disappointed in the angle of the back seats when folded down. In my 2014 they are nearly as flat and level as my dining room table. In the 2019 all my gear, groceries, dog, will roll down the hill towards the back liftgate. Sorry to hear about your bad luck but it's new and under warranty hopefully it get's resolved. Bare in mind there are tens of thousands of us with ZERO issues with our Jeep. I have had my 2016 Trail Hawk FOR 3.5 years and 89,000K and transmission, drive-train etc..are problem free. 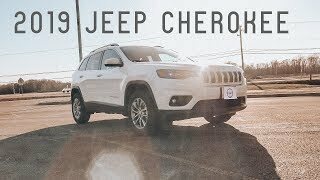 I just purchased the Jeep Cherokee Limited a week ago and I am really enjoying the vehicle. I would recommend. Just bought a 2019 lattitude Plus,V6. 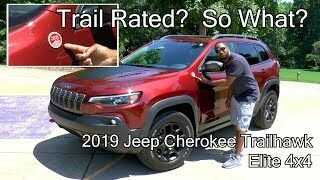 So far I love it,excellent ride and comfort.Overall improvement from the 2014 trailhawk and 2015 lattitude we owned.The trans in much improved. +Adriana Lopez-Velarde none,its my 3rd one since 2014 .I had leased 2.This is improved and has just over 5000 miles. Love driving it.Good luck! 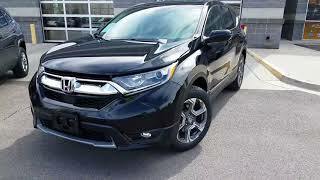 We are trading in a 6 mo old CRV for a new Trailhawk - even though the CRV is much higher rated. Why? Because of what most car reviewers just don't seem to understand; The Jeep is the only one in this category with actual 4x4 capability. It even has a locking rear differential. The body is stiffer and more stout. The 2 liter turbo has 295 ft lbs of torque and tow 4,000 lbs. The CRV can tow 1,500 and is utterly worthless off pavement. 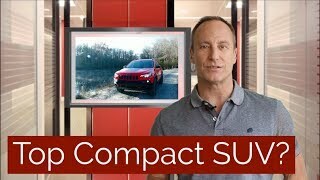 Reviewers also complain about the storage space in the Jeep compared to things like the CRV but usually fail to point out the full sized spare tire in the Jeep that consumes much of that space. If you really want more space, you can remove the spare and carry a can of fixaflat like I do in my new Mitsubishi Outlander PHEV which doesn't even come with a spare tire. 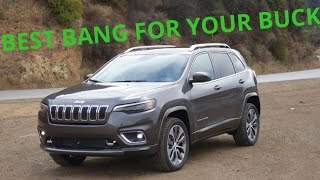 (We are trading that in for a Jeep as well) Apples to Apples comparisons are really not possible with the Cherokee because there simply isn't any other choices if you want a bit of off road capability. Yes the towing capacity is great, which translates into lower fuel economy. Jeep is junk. High priced Chrysler junk, and this model is a direct derivative of the modern day, non selling "Dart". And what a fine car the Shart is hunh? This is best in class mileage for 2l turbo powered small suvs. Why wasn't this mentioned? You can't compare this to a crv in terms of mileage. It has 270hp! You have to at least give a passing acknowledgement of its off-road worthiness, which is far better than any of its competitors. It's no Wrangler, by any stretch, but it ain't no CRV either. Abandoned city with dilapidated homes and buildings. Gotta be Detroit. Forgot what it was like living there. I prefer the 2014-2018 look. Makes it look more distinct from everything else. When you criticize the Jeeps fuel economy, you should also state that better fuel economy usually translates to a weaker engine. Try to pull 4000 pounds (which this jeep can), with a Honda CRV. +Travis Johnson the regular 2.0L will tow 2k. Tbh fuel economy is similar for most models in the category, in real terms the difference between the top in the category and a mid table one is only couple dollars per month. My wife and I just went shopping for a new Jeep Latitude Plus. 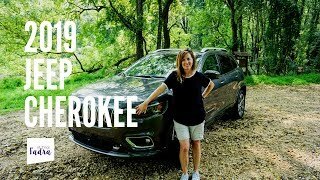 Currently she has the Jeep Compass after downgrading from a Grand Cherokee. She needs more room for transporting her elderly parents and their walkers. This one looks like it would fit the bill. Two design flaws I noticed, the location of the antenna which limits the use of the luggage rack and the location of the fuel cap on the passenger side of the Jeep! Most of the gas stations around here you have to enter from the right and it's awkward to drape the hose over the roof. And probably hit the antenna !!!!!!!!! Drape the gas hose over your car????? Wtf??? Pull in on the other side. It was a 2002 and was a pig on gas plus the headlight light lens would cloud up after a few years making it expensive to replace. mechanically it was sound. Then we got the Compass in 2011 and after broken in troubles started to show up. It was great on gas but sluggish pulling out onto the highway and in time turned into a rattle trap. The rear visibility was also bad. Brakes were bad also. Lesson learned. 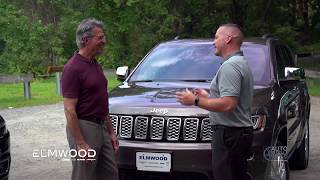 Why did you downgrade from a Grand Cherokee? That's true.... but NONE of it's competitors may be towed flat... with any option. Have 2K miles on my Overland and love it. Only gripe I have is the panic button on the FOB is too easy to set off... should be recessed in the FOB more... and wish it had a larger fuel tank. Other than that.... spectacular. Only flat-towable when equipped with the optional Active Drive II 4WD. 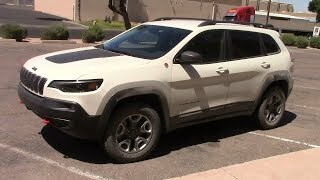 Active Drive I equipped 2019 Cherokees are not flat-towable. Cruising the streets of Detroit's east side. 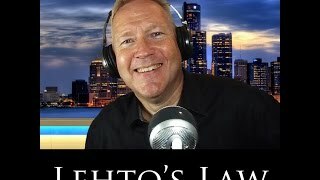 These people make the Best Reviews I've ever seen :) Yes, they aren't exciting but they are way more practical & give you the information you need. The 9 speed is a ZF-9 from Germany that HONDA, LandRover etc.. all used as well. ZF is single handily in the top 3 Transmission companies in the world. Now the ZF-9 is not perfect and during it's introduction in 2013 it had many issues most of which have been resolved by FCA in 2016 . The 9 speed in it's mature state is fine not saying it's perfect but neither are many other transmissions. They patented a new 9 speed 2 years ago and it will be introduced in 2020. They fixed the issue with occasional minor lags by removing the dog-clutch on 5th gear and some other improvements in the design. Who would buy? You can lease brand new BMW for less. RIP crappy USA. no you can't. BMW X3 or X5 costs more to lease or buy. Definitely a tard comment leasing is always a ripoff. I see bmw broke down on the side of the road as much as ford and there’s a lot less bmw’s on the road then ford. Libtard Hater Maybe, or maybe not. I definitely wouldn't take financial advice from him/her though! What moron would do that? 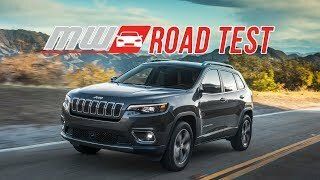 Is this a 2018 or a 2019 vehicle review?